Born and raised in Colorado Springs, Autumn Salvetti is a proud Colorado native and a third-generation Realtor. Growing up surrounded by real estate professionals has taught Autumn that excellent service and timely communication are the foundations of quality business relationships. 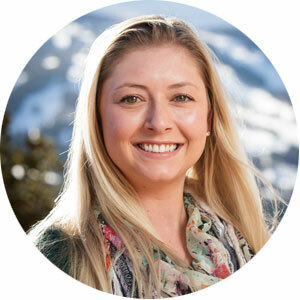 Upon graduating from the University of Colorado, Autumn moved to Breckenridge with her husband and their two border collies where they all cherish the wonderful mountains of Colorado and are proud to call Summit County their home. Autumn lives a passionate life of friendship, integrity, and love. In her free time, she can be found hiking with the dogs, road biking, or making pottery in the Arts District of Breckenridge. In the winter snowboarding, the fresh powder is her delight. Following her family’s footsteps, Autumn recently joined Cornerstone Real Estate Company Rocky Mountains, Colorado as a Broker Associate. She prides herself on providing top-notch communications, the information you need when you need it, determination, and open, respectful and responsive care to all. Meanwhile, the outstanding power of her peers at Cornerstone Real Estate is by her side providing unsurpassed knowledge and support. Intimately familiar with Summit, Eagle, and Park counties and their wonderful array of opportunities for adventure, Autumn has the patience, dedication, and skill to help you attain your real estate goals. We encourage you to let Autumn represent you in all your Real Estate needs.